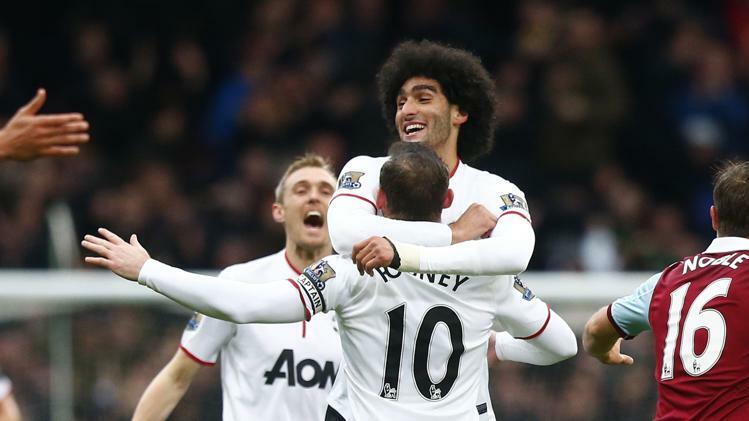 This game was the second of three tricky fixtures for the under pressure David Moyes. Sandwiched between the victory over Olympiacos midweek and the Manchester derby on Tuesday, the trip to the Boleyn Ground was another potential banana skin. West Ham were coming into the game on the back of two league defeats themselves, so all was to play for on a ground were the Red Devils has have struggled in the past. The defending champions were forced into changes to their line up with Robin Van Persie injured in Wednesdays Champions League game, so Juan Mata was given his chance to play in his preferred position in the middle, playing in behind Rooney. Injuries and suspensions also meant Michael Carrick was forced to play at centre back. West Ham had James Collins and Matt Taylor replacing Antonio Nocerino and Winston Reid. It was the Manchester side who started brightly, with Fellaini having a header cleared off the line by Andy Carroll in the 3rd minute. They continued to threaten with quick counter attacks, first with Kagawa capitalising on a misplaced Tomkins pass to play in Mata, who was forced slightly wide and shot at the keeper. Then the moment of the match, and there was barely 8 minutes played. Wayne Rooney and James Tomkins challenged for a high around the half way line, as the ball bounced Rooney eased Tomkins out-of-the-way, and struck a shot from just inside West Hams half. The West Ham keeper, Adrian, was scrambling back but could not get his bearings as the Rooney wonder strike bounced into the net, much to the delight of the jubilant Moyes on the sideline. West Ham were not happy and believe Tomkins was fouled by Rooney in the buildup, but the referee was correct to allow play to continue. West Ham tried to rally. Diame had a strike blocked down in the box after a corner. Steward Downing was getting the best of Rafael, and the right back got booked in the 11th minute. Noble wasted the resultant free kick when he tried to find Nolan at the front post, rather than looking for Carroll at the back. He had a chance to put this right 4 minutes later when Rafael again gave a foul away. This time the free kick was aimed towards Carroll who won his header but saw it glance wide. Soon after from a Downing cross Carroll was winning the battle in the air again, this time over Jones but the header was straight at De Gea. The Geordie striker was proving a handful, but West Ham could not make anything from his knock downs and the West Ham fans were getting more frustrated as Nolan, Diame and Downing were all guilty of giving the ball away. In the 25th minute Fletcher dispossessed Noble, Mata picked up the ball and slipped in Kagawa whose shot was saved. From the kick off, Diame ended up with the ball in the opposition box, some neat footwork opened up a shooting chance but he tripped over the ball. Another counter attacked from the away side saw Kagawa and Rooney combine to set up Mata, who struck a firm shot that was saved well by Adrian. 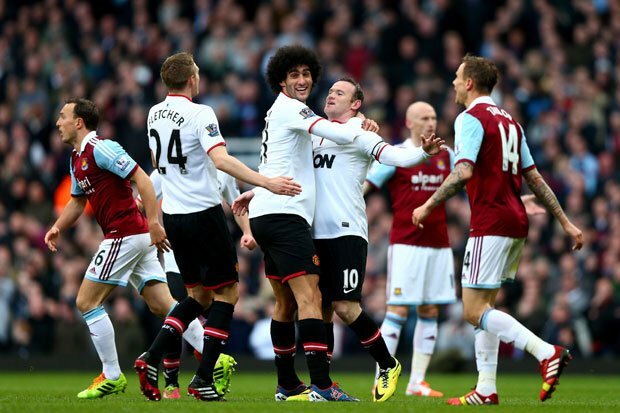 West Ham had a penalty appeal turned away when Kevin Nolan tangled in the box with Fletcher. It would have been harsh, and the ref waved play on. 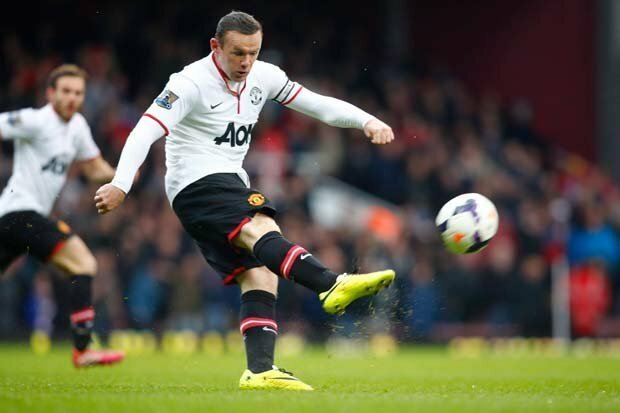 United broke with Rooney to Young, with his cross into the box cleared by Noble, but only straight to the feet of Rooney who had continued his run and had the simple task of firing into the empty net. For the second time West Ham were aggrieved with a decision that led to the goal. The second goal saw Rooney climb to third in the list of Manchester United’s all time goal scorers. On 212 he is one ahead of Jack Rowley, and only behind Sir Bobby Charlton and Denis Law. 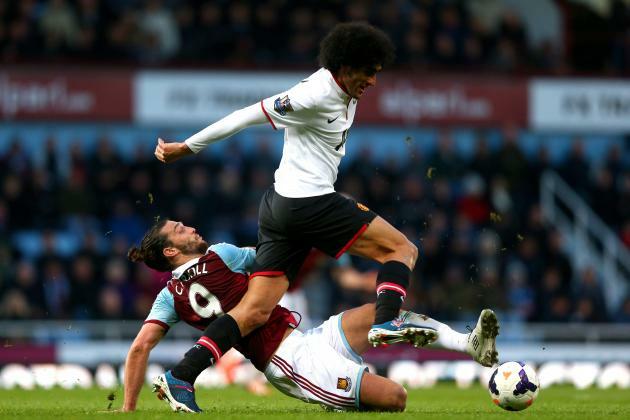 West Ham’s next chance came when Fellaini fouled Carroll on the edge of the box and the striker’s free kick was drilled low and hard into the wall with nothing coming from the corner. Corners where West Hams best chance of getting something from the game, but as much as Carroll was trying they couldn’t make them count. The second half seemed as if it would follow the same pattern as the first half, with an early chance for Young, but his curling right foot effort was straight at the keeper. More West Ham corners again saw Carroll winning the aerial battles, but the balls seemed destined not to land to a West Ham shirt, with only Demel getting a shot away before it was blocked down. They were slowly getting a foot hold in the game, as the visitors could not seem to find their fluid football from the first half, however a patient build up in the 57th minute saw a Juan Mata shot snuffed out for a corner. Rafael had a chance when he ran at pace on to a Rooney ball in to the box, in the same move the ball landed to Ashley Young who shot into the ground and was blocked for a corner. Matt Jarvis replaced Diame for the home side and that seemed to give them a bit more balance. The visitors were more patient in the second half, and slowly the fast paced tempo of the first half disappeared completely. Carlton Cole replaced Kevin Nolan on 72 minutes, and shortly after Danny Welbeck and Havier Hernandez replaced the Rooney and Mata, obviously with one eye on Tuesday nights match against City. Jarvis’ first major contribution since coming on was a dangerous cross to the back post on 80 minutes that almost found both Cole and Carroll. One minute later and Welbeck and Young combined nicely on the right hand side, the ball was played forward to Kagawa who should have done better with his cross that was too high for the unmarked Hernandez in the box. Nocerino replaced Taylor in the 82nd minute, before there was a brief stoppage due to an injury to Tomkins from a heavy challenge by Fellaini. The Belgian was involved again in the 90th minute when he burst through on goal, he was looked like he was about the open up his account for his new club when he went down under a challenge. Replays showed that his appeals for a penalty were right to be ignored as he tripped over his own feet. The final whistle brought relief to Moyes and again helped ease some of the pressure he had been under. This performance was a lot more encouraging for the travelling fans. Fletcher was neat and tidy in the middle with Fellaini and both kept things ticking over nicely for the visitors, while Juan Mata was having his best game for the club, linking up nicely with Rooney, Kagawa and Young, in what seemed a more balanced, fluid looking line up. West Ham have now lost 3 in a row in the Premier league, and although Big Sam says he believes another 7 points should guarantee safety, he will certainly be nervously glancing over his shoulder. Moyes and United now head into Tuesdays derby game against City in a much better frame of mind than they were last Sunday after the Liverpool defeat. The 3 games that followed were said to be crucial for Moyes’ future, and so far he’s got the results he needed. Although out of the running for the top 4, they could throw a massive spanner into their noisy neighbour’s title challenge, which would go a long way in building some bridges with Moyes and Old Trafford crowd. 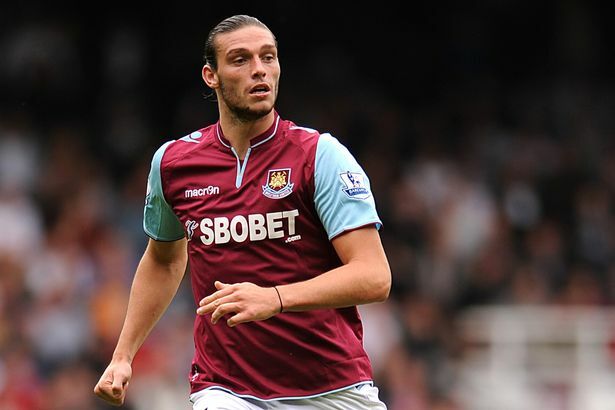 West Ham: Adrian, Demel, Tomkins, Collins, McCartney, Diame, Noble, Downing, Nolan, Taylor, Carroll. Subs: Reid, Jarvis, Armero, Jaaskelainen, Carlton Cole, Joe Cole, Nocerino. 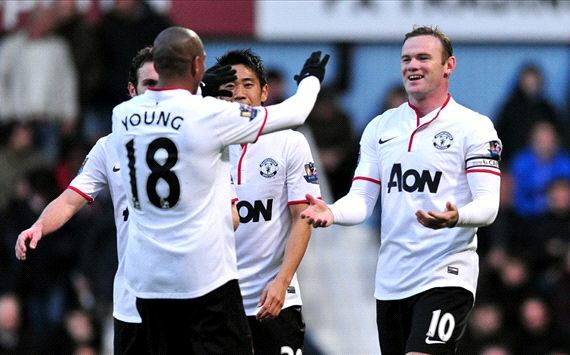 Manchester United: De Gea, Rafael, Jones, Carrick, Buttner, Young, Fletcher, Fellaini, Mata, Kagawa, Rooney. Subs: Evra, Lindegaard, Hernandez, Nani, Welbeck, Cleverley, Januzaj.